As is commonly the case in the S household, Mr S was reading Mrs S an article on statistics. This time Mrs S found it particularly annoying as she had already gotten out of her chair and was on her way to the kitchen for a cup of tea. Then Mr S asked her “Do you know you are now more likely to be killed by your trousers than win the lottery?” As it happened, Mrs S did not know that, and she despaired of ever getting her cup of tea, for now she needed to listen to the rest of the information to hear (1) if problem lay with the particular trousers she was wearing; (2) whether she would be safe if she changed into a skirt; and, most importantly, (3) whether sweatpants and pyjama bottoms were classified as trousers in this analysis. It turned out that the article was not about trousers at all, and so Mrs S had no excuse need to revamp her autumn wardrobe. Damn it! Phew! 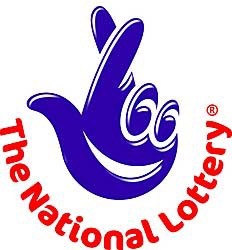 The UK National Lottery has added ten new numbers to its selection options. Previously, six numbers were chosen from 1-49; now you may select any number up to 59. Of course, Camelot, the company that administers the Lottery, is eager to highlight how much more choice it gives you. Hooray for choice! They are less keen to inform you that your odds of winning the jackpot have now dropped from 1 in 14 million to 1 in 45 million. Ah well: Mrs S figures most people who play the lottery aren’t in it because of its sound investment profile. And what if your lucky number is 50? Well, you’ll just be relieved to see the end of the discrimination that smiled favour upon those whose luck resides in lower numbers. Is this crowd there for you? The odds are 20 million to one. Mr S continued to read out a series of astounding things one was now more likely to do than win the lottery: be killed by a bee, become a Cabinet minister, etc. Then he got to the point, and the reason he knew his wife would want to hear these numbers: According to the statistical analysis of some nerd somewhere, you are more than twice as likely to be cannonised a saint in the Roman Cathoic Church (20 million to one) than win the lottery (as above 45 million to one). Mrs S cannot confirm or vouch for these figures. The reader is likely already aware that the lady has a tense and troubled relationship with numbers: she cannot count past ten without removing her socks. But nonetheless she took strong and immediate umbrage with Mr S’s implication that sanctity was a matter of chance. Mr S took strong and immediate umbrage with Mrs S’s conflation of ‘chance’ and ‘randomness’ in her critique, reiterating that statistics describe data populations, not causes. 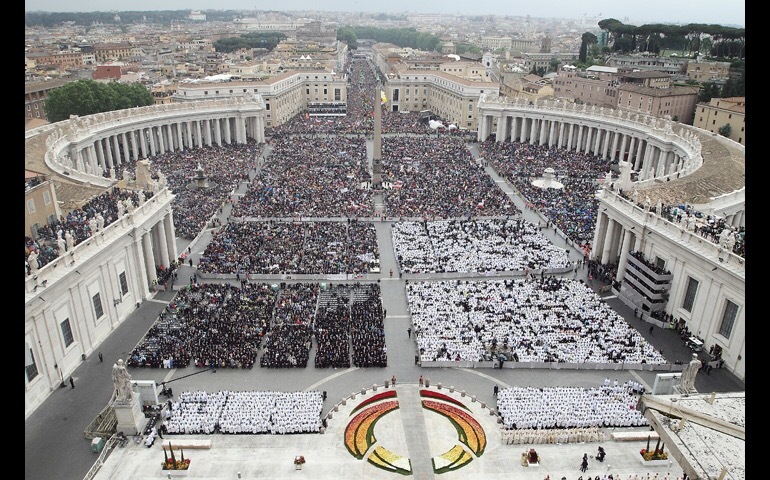 In short, the fact that statistical analysis indicates that in any randomised population of 20 million people one of them will be canonised, does not mean that that one person is selected at random, independent of causal factors. Mrs S was sure she knew this already, so she stomped off and made tea in a huffy manner. The thing is, the terminology of statistics aside, the comparison is obviously apples and oranges. The odds of winning the lottery are calculated on a one entry per draw basis. Canonisation is a one-shot deal: you have one soul, so you get one entry. To increase the odds of winning the lottery one merely has to buy more tickets. In fact, buying just three tickets for a single lottery draw slashes the odds of winning to 1 in 15 million, making a jackpot win more likely than canonisation. But, of course, the lottery remains subject to randomness in a way that sanctity does not. It’s black and white, too: any combination of numbers is as likely to win as any others. 1, 2, 3, 4, 5, 6 is as likely to be a winner as 3, 14, 25, 27, 32, 54. All entries are equal, so when you buy an extra ticket you increase your odds of winning by a set and easily defined increment. 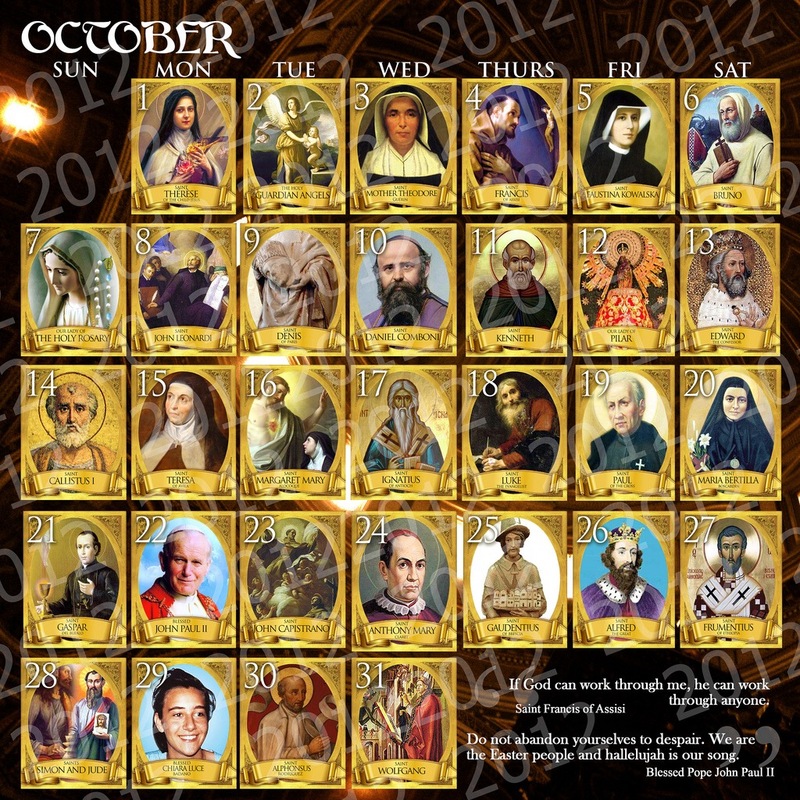 However, with respect to sanctity, you can’t multiply your entries, so your only way of increasing your odds is to work on the one entry you have, t make it the type of soul that can be canonised. And that’s a bit trickier. Mrs S thought about the type of sanctity that lead to canonisation — a life lived in prayer and penance, with courage and tireless fortitude, with patience and humility — for as long as it took the kettle to boil twice. (The first time around she somehow forgot who she was making the tea for and used a decaf tea bag and added sugar. Yuck.) 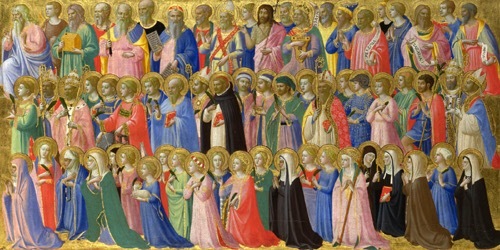 And as she waited she pondered the example of saints. There is, of course, the Little Way of St Thérèse: ‘finding God in the pots and pans,’ working quietly and with humility, offering every little act of love, and even the most dreary mundane tasks for the greater glory of God. This is a model especially well-suited to the life of a wife and mother, and many wise people have recommended it to Mrs S. She finds it cripplingly difficult and absolutely hates what it shows her about the state of her soul. So, she figures it would be easier to find a different exemplar, one with a bit of flair and a good excuse for being rubbish at housework. And then she began to think how much easier all of this would be if she did win the lottery. Ok, so maybe Mrs S’s sanctity would not be assured by having the financial resources to fund the virtuous activities of others. Faith without works is dead, to be sure, for what can be thought to exist of a faith that does not transform behaviour? But works without faith are mere spectacle with regard to the soul, however much good they do in the world. (Which is not to say they shouldn’t be done, just that they shouldn’t be confused with sanctity.) It is the most irritating feature of holiness that it cannot be delegated. She was listening to her parish priest’s homily this morning on the rich young many who asked Jesus how to gain eternal life. Jesus tells him to keep the Commandments, and when the young man says he has always done this all his life, Jesus says that he should sell everything he owns and give to the poor. Naturally, the man is saddened by this, because he is so rich. The priest pointed out that the command to give everything away is nearly unique in the Gospels to this man. Mrs S thought of line that says Jesus looked on the man and ‘loved him.’ There’s this idea in the text that Jesus wanted union with this man. (This may seem like a leap, but Mrs S spent a lot of time in grad school reading Aquinas, whose definition of love has two parts: desire for the good of the beloved, and desire for union with the beloved.) Jesus has told him what’s good (‘Keep the Commandments, buddy!) and is now explaining wherein full union consists. It’s like “sell your possessions” is shorthand for “Now all you need to do is get rid of all this junk that is your first love so we can be together.” So, it’s hard for the rich to become saints. Not because wealth is evil (if it was then it would be impossible for the rich to become saints), but because it’s seductive. More than anything else, money can allow us to feel like we’re doing really well. You can give vast sums to good causes, help the needy, always have a tidy house, always be up-to-date on current events and the latest artistic trends. If you have enough money you start to feel like virtue itself can be bought. So, despite a moderately well-formed conscience and the great desire to do good, Mrs S imagines she too would end up a slave to her lottery winnings. As it is, Jesus’s advice to Mrs S, after he told her to get a grip on the Commandments, would be to put down her book and clean the kitchen, to find him in the pots and pans. Mrs S is more comfortable with the theoretical than the concrete and temporal. She has many lofty ideas about organisation and no patience with tidying up. This makes dometicity hard: she bears primary responsibility for the temporal good of her family. She needs to keep them fed and in clean clothes, and in tolerably non-squalid surroundings. She has often told people that her idea of freedom is not having to clean anyone else’s backside. She becomes inexplicably anxious when every day problems intrude in her consciousness. For example her hands are currently shaking and she’s having trouble typing because this afternoon Mr S noticed a mouldy patch on the ceiling of the pantry, and further investigation revealed that there seems to be some kind of leak in the boxed-in pipes behind the bath. So tomorrow she needs to call a plumber. And then it should be fixed. But all she can think is “How much of MY time is this going to take up? Can I give the children baths tonight? Do I need to take everything out of the pantry? When will I find time to really clean the bathrooms upstairs so I’m not embarassed when the plumber shows up?” Truly disproportionate and neurotic. So clearly there is much work to be done in the development of charity, patience, fortitude, generosity, because Mrs S is as miserly with her time and mental energy as the rich young man seems to have been with his material resources. At least peripherallly aware of all of this, by the time Mrs S had gotten to grips with temporal matters sufficiently to make herself a drinkable cup of tea, she decided that she was overjoyed that the odds of becoming a saint were as good as one in 20 million, or hopefully better if you don’t mind about being on the calendar, and also that she was very unlikely to have to manage enough money to cause her problems, even if a few good causes would have to look elsewhere for support. She went back to the living room to tell Mr S that the moment she earns a cent from writing she’s hiring a cleaner, because the best will in the world couldn’t compensate for her domestic deficiencies. She needs to free up a bit of energy to devote to sanctity. Those are long odds to beat, and life is short.